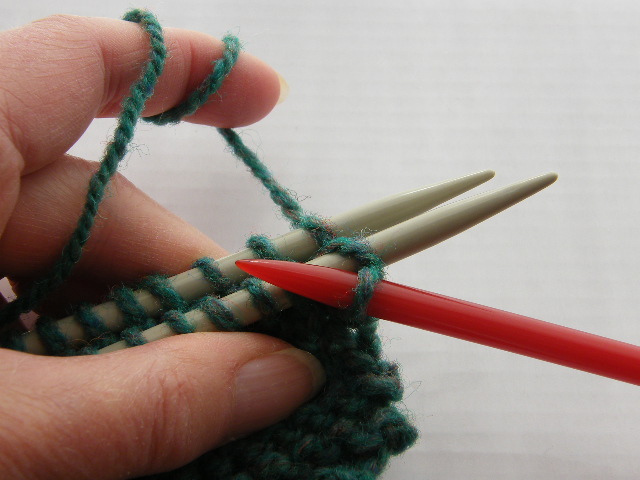 The 3 Needle Bind Off is used to join two sections of live stitches and requires 3 needles. 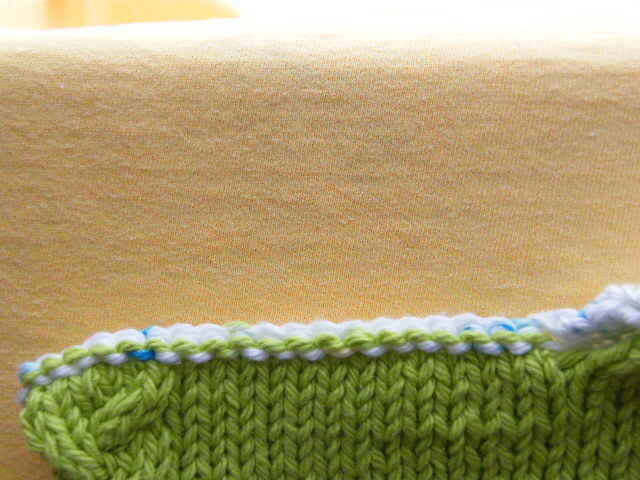 It results in a chain ridge on the front side (Figure 1) and purl stitches on the back side (Figure 2). 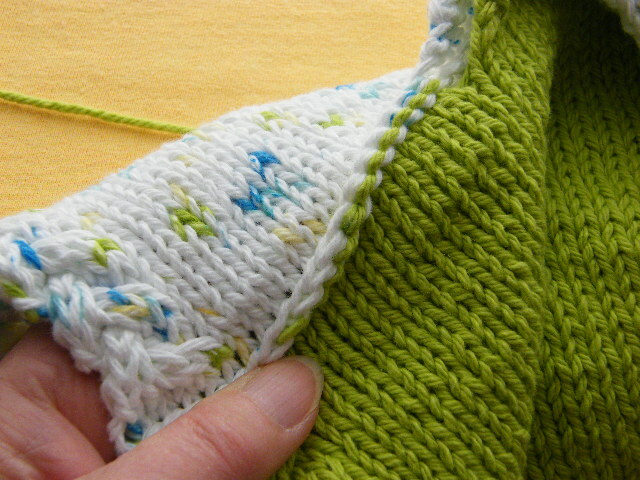 It can be worked with Wrong Sides together or Right Sides together, depending on the final look desired. 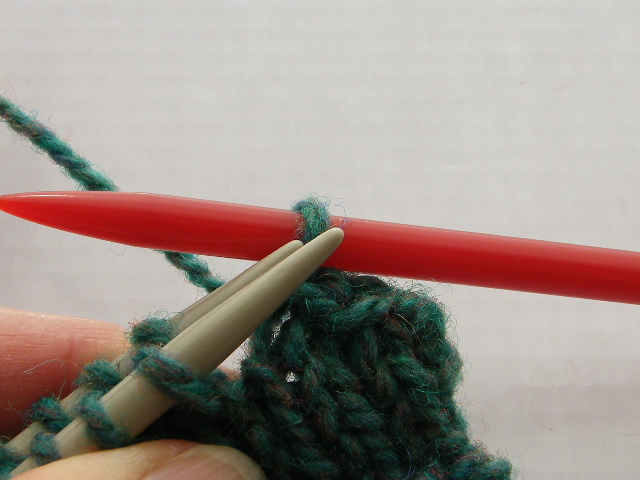 Figure 1 and 2 show this bind off worked with WS together. 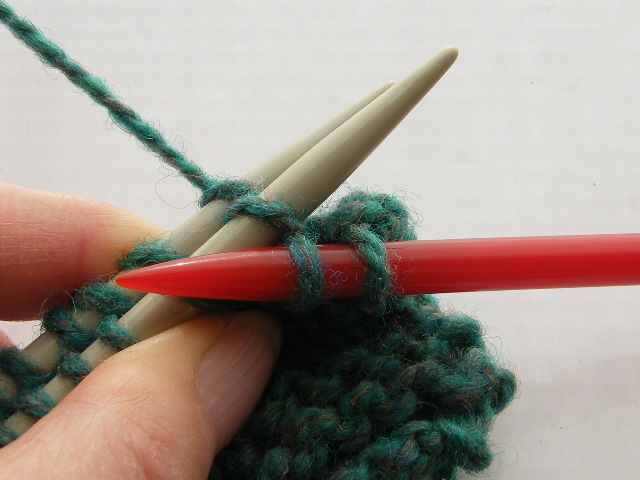 Seen from above, the bind off looks like Figure 3. 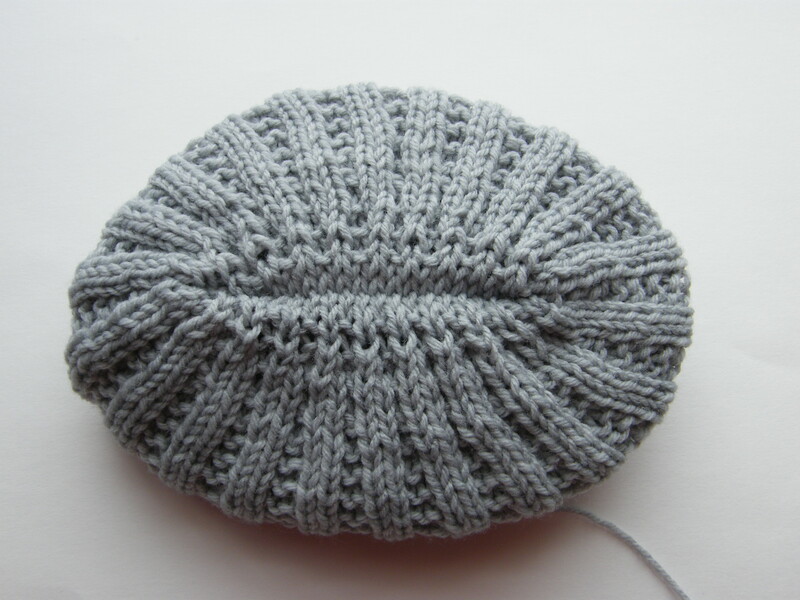 This bind off can also be worked with RS together for an almost invisible seam as shown in the hat crown (Figure 4). 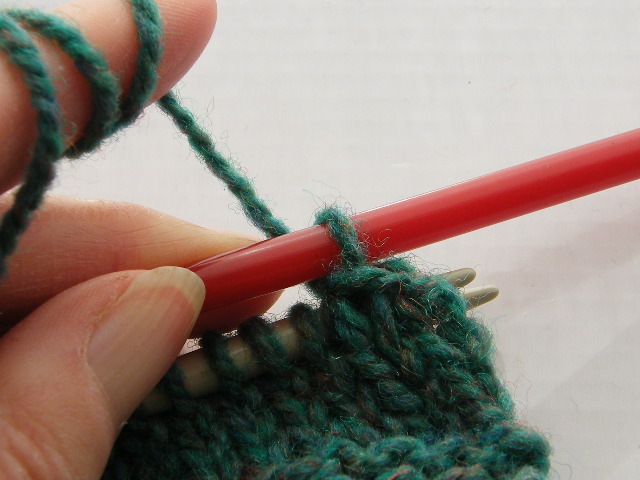 First, make sure you have the same number of stitches on each needle. 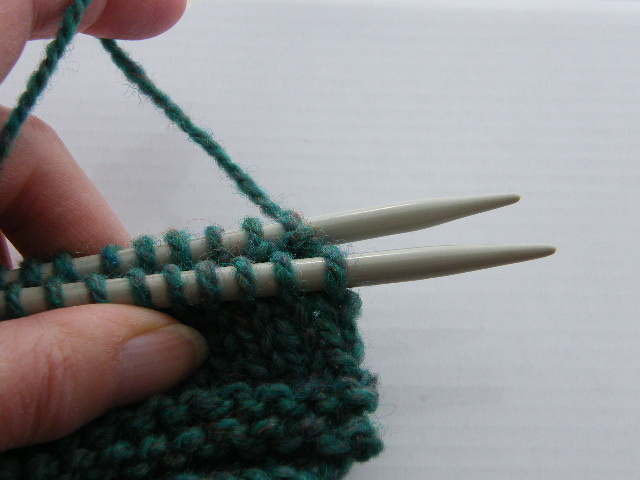 Lay the 2 needles containing the live stitches one on top of the other, right sides (or wrong sides) facing. 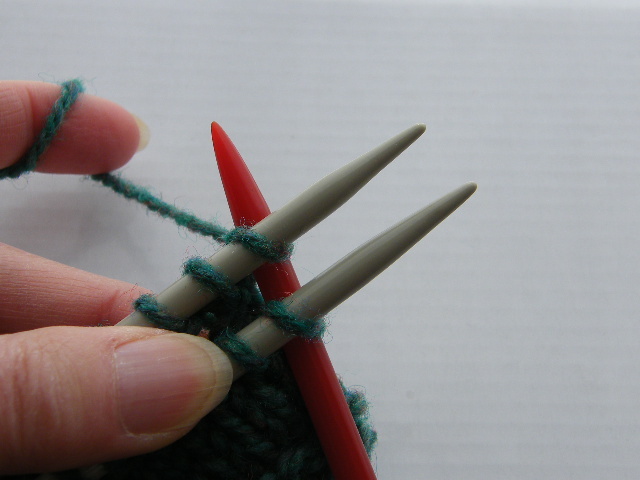 Hold the third needle in your right hand. 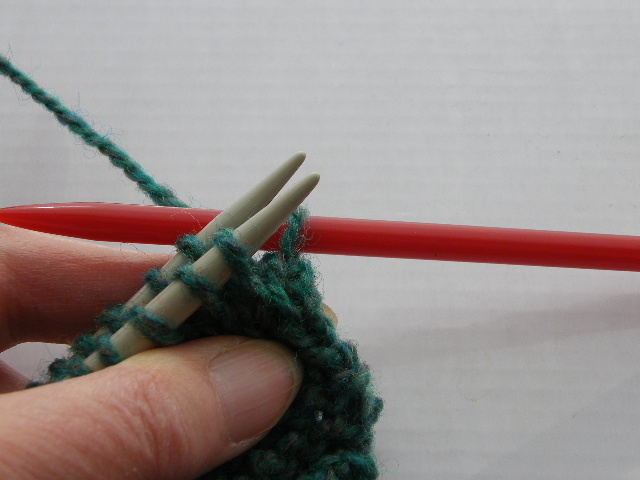 Step 2 Step 2Insert the third needle (red) knitwise into the first stitch on the front needle AND the first stitch on the back needle. 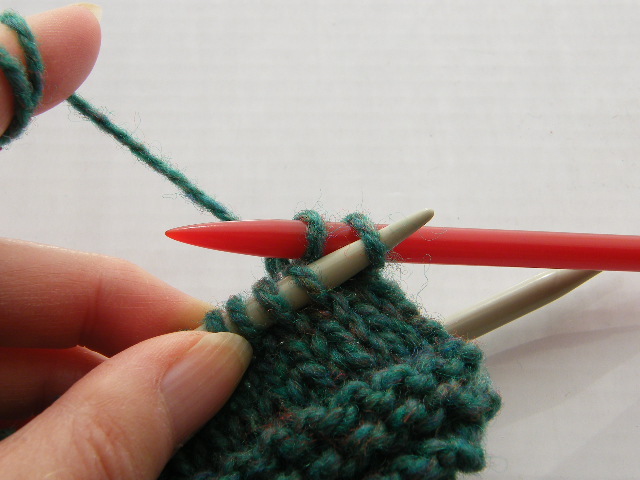 Slip each stitch that has just been knit from the left needles ( 1 from the front needle and 1 from the back). 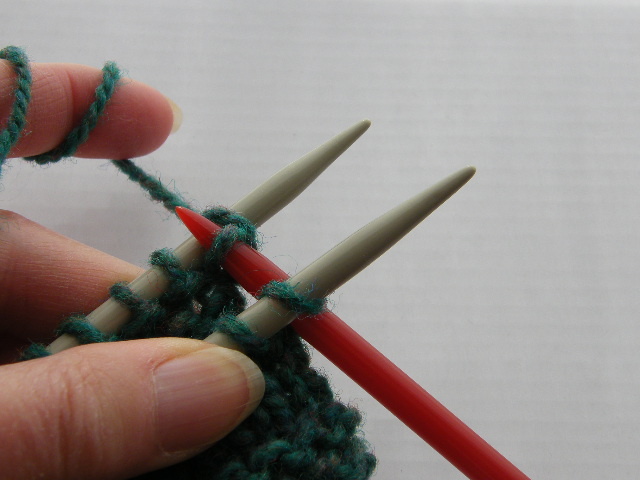 Step 4Knit the first stitch on the front needle and the first stitch on the back needle together as before. 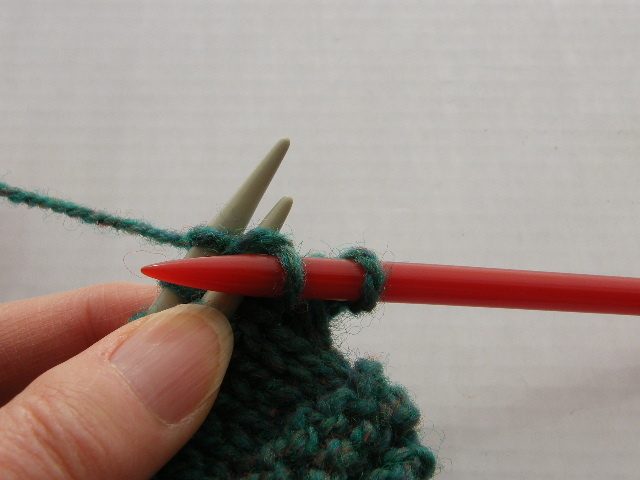 Step 5Using one of the left hand needles, lift the right-most stitch on the right needle over the stitch just worked and off the right needle to bind it off. 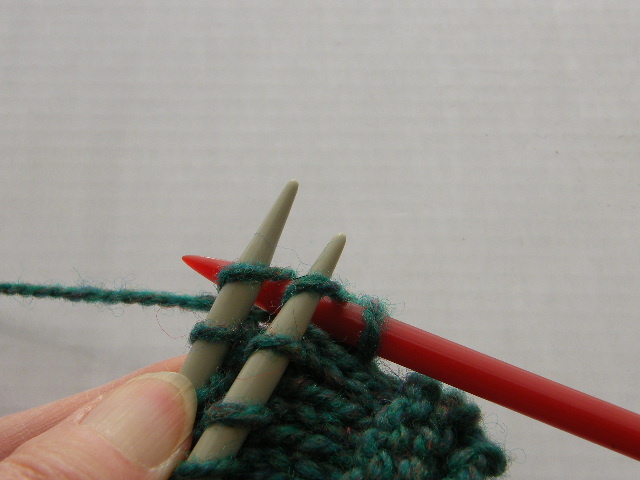 One stitch remains on the right hand needle.